But what do they mean by ‘read’? It sounds awfully mysterious and a bit daunting, doesn’t it? And where can you learn how to ‘read’ a dog? I am not very fond of the term ‘read’ when it comes to dogs. 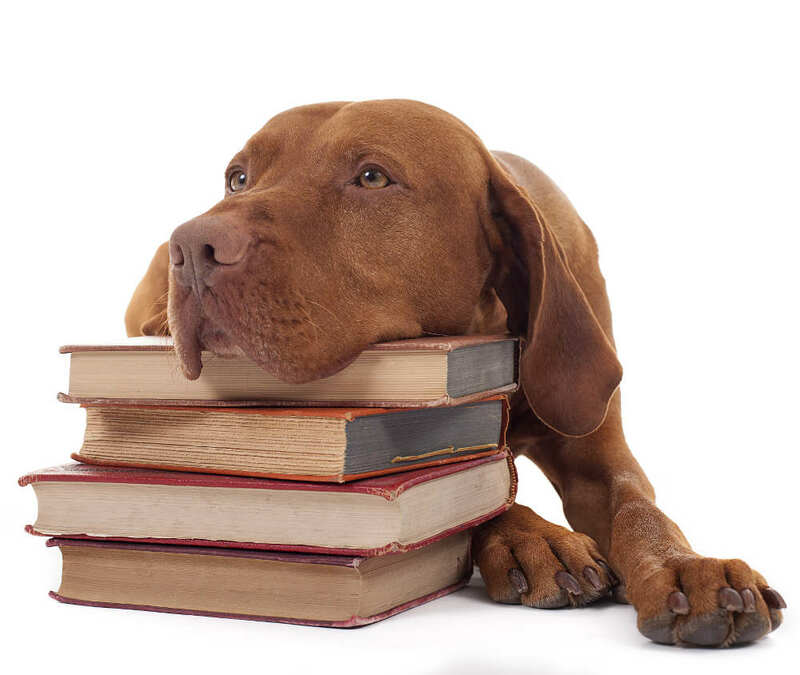 Partly because the concept of ‘reading a dog’ belongs to a group of assumptions that have long been responsible for making ordinary dog owners feel somewhat lacking. ‘Reading’ as a term, is up there with ‘Whispering’ and ‘Listening’ in that it attempts to make the process of training a dog ‘mystical’ in some way. As if only the person holding the mystical knowledge or some special ability, has the key. Whilst there is some truth in the necessity to ‘read’ a dog before you start training, it is much more simple than it sounds. Dogs do what works for them. And in order to train dogs we need to motivate them. We can do that by reinforcing the behaviours we like. We can also do it by punishing behaviours we don’t like. When it comes to reinforcement, one dog might be motivated by the retrieve, another by an opportunity to hunt, and another by roast ham. Just like people, all dogs have different preferences, so what motivates one dog, will not necessarily motivate another. It is however, very tempting to assume that dogs are motivated by things that are easy to provide, like a pat on the head or a kind word. This is where being objective comes into it. When it comes to punishment, one dog may find the word NO aversive, another might not. Some dogs are very tough and punishment has to be both physical and harsh to diminish their behaviour. It is true that every dog is has different preferences, but there is no magical skill involved in any aspect of training a gundog. So don’t be put off by terms like ‘reading’ your dog. Gundog training is not mystical. Anyone can do it, if they are prepared to put in the time and effort, and to learn how to modify a dog’s behaviour. Later on you’ll need access to game. But to be successful in basic training, all you really need is an understanding of how dogs learn, a structured training plan, and the right rewards. Reading a dog is nothing more than knowing what he finds rewarding. And knowing what scares him. If you live with your dog, it won’t take you long to figure this out.